I recently saw a movie in theaters that hit a bad chord with me, because it's allegedly a movie based upon reason and logic. As has likely been deduced from the title of this post, this movie was Sherlock Holmes. Although I have few complaints with the movie overall, there was one scene in which terminology was so out of place that it distracted me from the story they were trying to tell. There was a scene where Nefarious Villain was attempting to use a wireless device to poison the British Parliament, and take over England. Although the device itself was fantastical, there was no particular reason why it wouldn't work. It should be mentioned that the device had a magnetic "anti-tamper" field, which was probably impossible to generate at the time, but we're talking about the entire technological expertise of a country being directed at it, so we'll give them the benefit of the doubt. So, what is the problem? To discover the error, we have to take a look at the year in which the movie takes place. 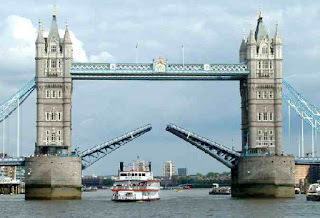 During the movie, there are scenes of the Tower Bridge in London clearly being constructed. Since the Tower Bridge was opened for service on June 30th of 1894, it can be safely assumed that the movie takes place, at the latest, in 1894. 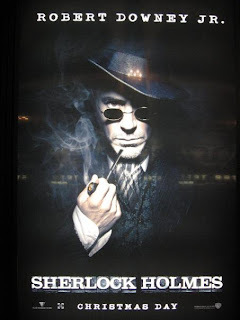 The problem arises from the fact that Holmes described the device used to activate the poison dispenser as a "Radio" device. The first documented use of the word radio can be tracked to 1897, and while Sherlock is quite the detective, he never claimed to be prophetic. Getting historical details right is just like nailing the science—there are usually details that can be corrected to avoid conflicting with the facts, without harming the story-telling. Bruno Mars is fast becoming the king of and pop – not to mention the hat. Introduce some Ray-Ban sunglasses and you have the perfect match.We at Sunglasses Shop are used to seeing the singer dressed up on stage. But he has no problem dressing down ray ban one day sale 90% off (and in style) with the Ray-Ban 3025 Aviator. This frame is all about the cool factor and being comfortable within yourself, which Bruno emphasises with his casual ensemble. But the 3025 is an all round frame, which celebs often wear to ray ban sunglasses red carpet events. Its teardrop shaped lenses provide the wearer with classic glamour. The sleek metal frame on the other hand is contemporary and crisps up even casual denims. Or in the case of the Oscars, additional wow factor to suits.The Ray Ban Sale Ray-Ban logo gives makes the lenses even more covetable. It also appears on the adjustable nose pads that provide vital comfort. The lenses themselves are made of mineral glass, which is naturally scratch resistant. They also have the added benefit of cheap ray bans for sale Ray-Ban G-15 lens technology. By absorbing 85% of sunlight they improve clarity and contrast, helping you to look and feel better.Other famous fans of these frames include; Kit Harington, Brad Pitt, Tom Cruise, and David Beckham, to name a few.Protect your ray ban clubmaster peepers while you enhance your look with the Ray-Ban 3025 Aviator. If you’re one of those people that just can’t get enough of the Nike Air Force 1 then there’s a good chance that you’ll like this new colorway of the Air Nike Shoes Force 1 Mid.With the Triple White Special Field Air Force 1 getting a wide release tomorrow, if you want to avoid the “L” altogether then you may Nike Air More Uptempo Black consider picking up another tonal colorway. I mean this Gym Red pair doesn’t have the fancy straps or height like the SF version, but you’ll definitely turn Nike Flyknit Chukka more heads with the bold color. This Air Force 1 Mid comes with a nubuck upper and leather detailing on the strap and Swoosh. Subtle hits of Nike Yeezy white are then present on the tongue and heel branding for contrast.What are your thoughts on this Gym Red colorway of the Air Force 1 Mid? Are Nike Air Max Thea you still a fan of the all-red look or is it played out? Sound off in the comments below.I personally think the all-red look is played out. Nike Air More Uptempo Unless you add some crazy materials or it’s done in a really dope silhouette, it’s just not for me anymore. Add some more white to this pair Nike Air Max Outlet and it would look much better.